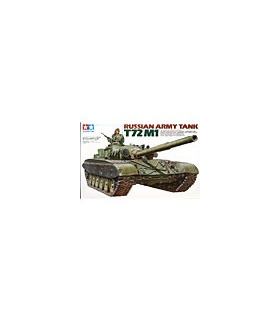 The main tank of the US Army during WWII was the M4 Sherman. 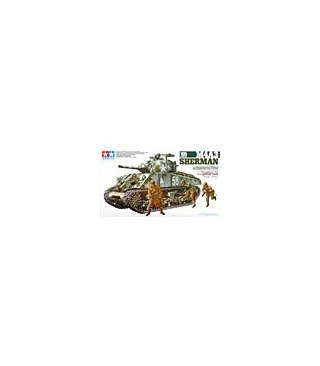 Now the M4A3 Sherman equipped with the large 105mm Howitzer is available from Tamiya. 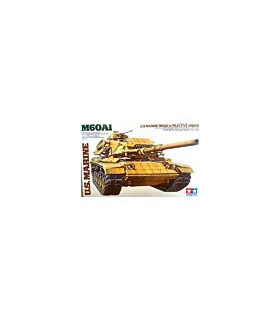 This tank model uses poly-caps for the raising and lowering of the gun. Gunners hatch and machine gun clamp are included as separately molded parts. 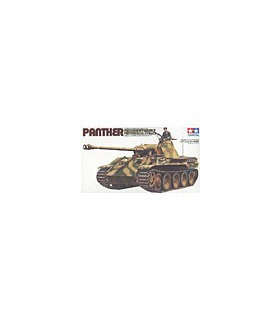 Realistic tank tracks come with rubber pads (paintable) for enhanced authenticity. 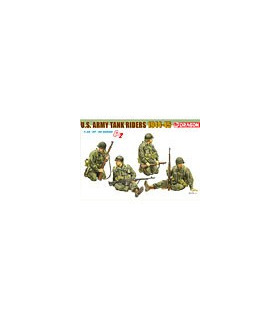 Three infantry figures from the Ardennes battlefields and the tank commander figure bring a "midst of battle" atmosphere to the kit. Ammunition boxes and ration cases are also included to enhance detail. 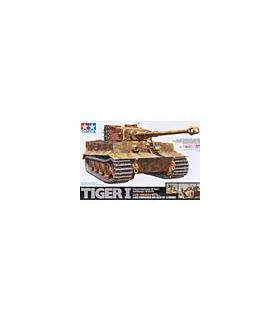 Decals are included to recreate one of three tank types. 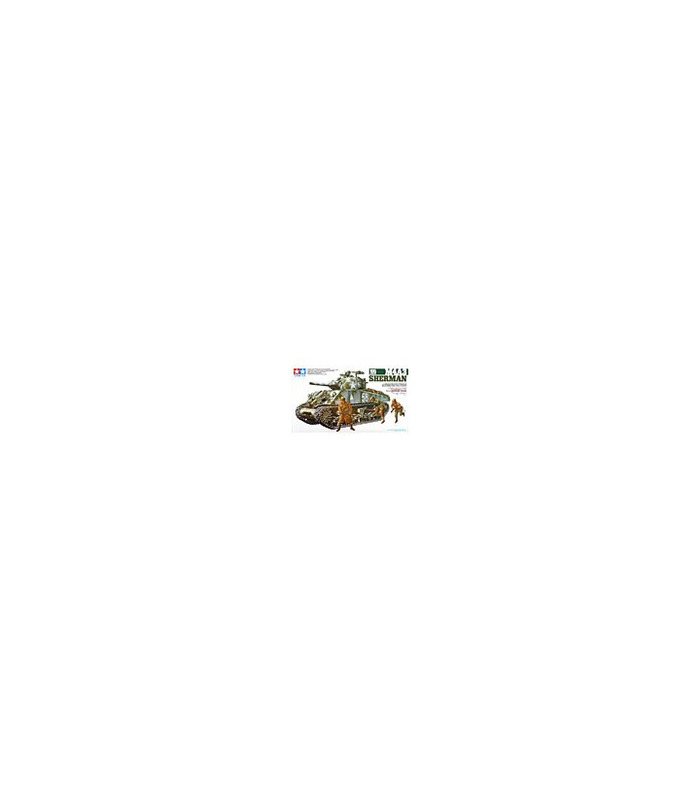 Recommended paints: TS-5 Olive Drab. 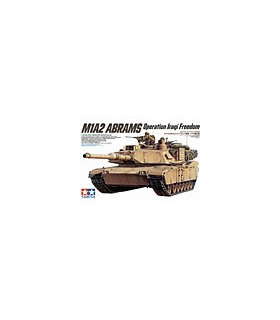 This exciting kit is sure to be a welcomed addition to any of the U.S. Army vehicles in Tamiya's extensive 1/35 scale MM collection.